Named after a star that lights the sky at night, ZETA, a beautiful al fresco dining destination, is now open at Address Downtown. 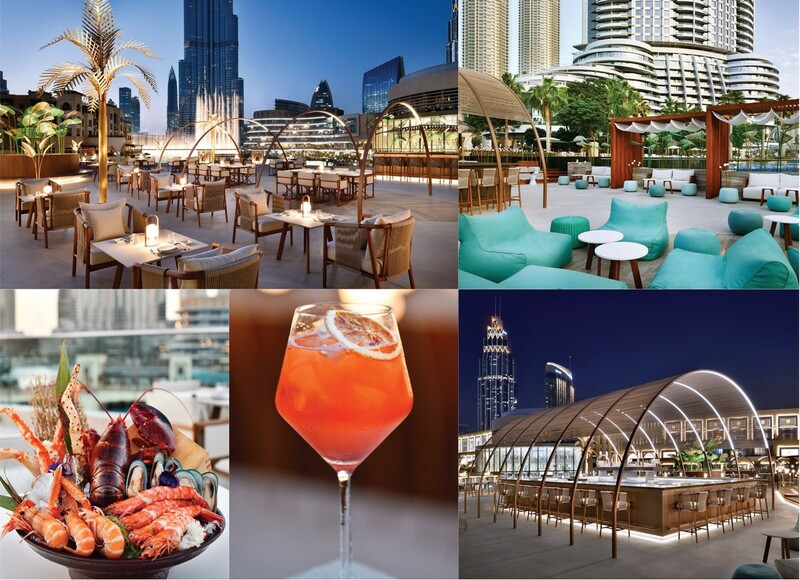 Long awaited, Zeta delivers a one-of-a-kind outdoor dining experience in the heart of the city, with breathtaking and the closest views of the iconic Burj Khalifa and world’s tallest water-music spectacle, The Dubai Fountain. A glamorous open-air setting, contemporary interiors, panoramic vistas, and exquisite flavours are harmoniously combined to uphold the distinctive positioning of ZETA. Perched on the expansive terrace of Address Downtown with a spectacular backdrop of Burj Khalifa, the vibrant and inviting surroundings of the venue complete with distinctive selection of food and beverages, are reminiscent of a chic waterfront lounge. Redefining Dubai’s al fresco scene, ZETA’s heart-warming Californian and Asian cuisine assures guests an impeccable feast whilst mesmerising melodies resound through the vast terrace at all times. With uninterrupted views of The Dubai Fountain, the lounge seating transforms into an ultimate sundowner venue after dusk. The ingenious menu and understated luxe design of ZETA embodies Address Downtown’s differentiating characteristics – luxury and excellence. Designed by Square 8, the new restaurant and lounge with 400 seating boasts inspiring artistic designs and touches such as gold and green metal palm leaves and trees, to mediate the effect of an urban waterfront dining destination. The beautifully redesigned venue is fitted with mixed earthy toned wood and slate flooring, fabric raised cabanas, sleek bamboo high chairs and sofas with soft cream furnishings to offer an elevated fine dining ambience. Soft moody lighting on custom-designed brass stem like fixture and a marble-topped counter punctuates ZETA’s moody décor without competing with the views. GO: Call (0)4 888 3444 for reservations and more information.